I am not getting my last order id if i pass Getlastorderid function and returning as blank. 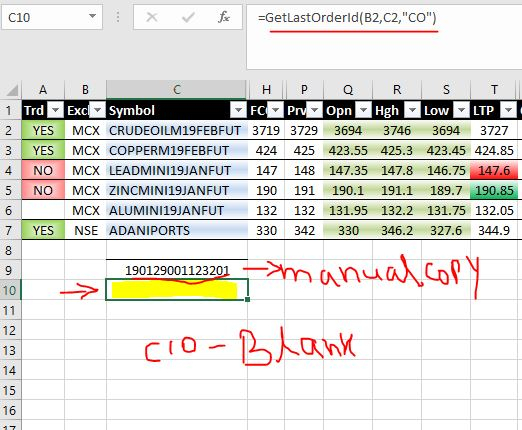 For Futures & Options, ensure you aren't using "NSE" as Exch, you need to use "NFO"
The GetLastOrderId is not a API function, it manipulated at application level. This will return the order id of the last order placed through your application (Excel/API).